Compact, Yet There Are 5 Bedrooms! 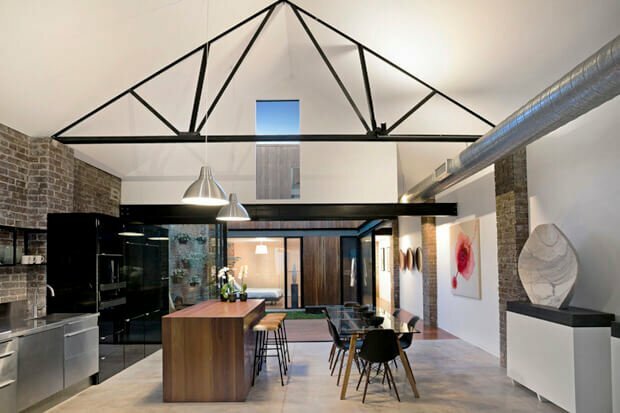 A structure that’s no longer in use can sometimes be transformed into another kind of space, in place of what it was originally designed and built for. 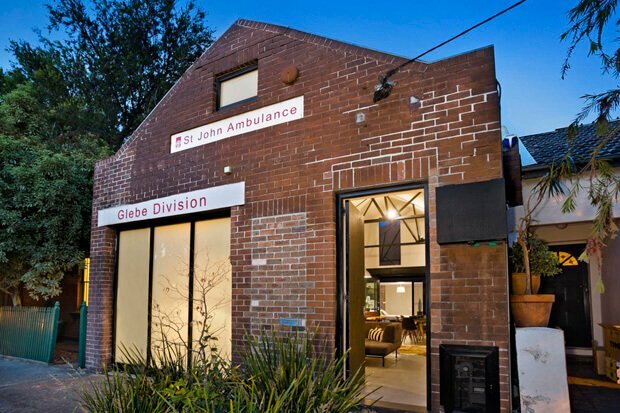 Like the vacated St. John’s Ambulance Station in Camperdown, Sydney, Australia, featured here. 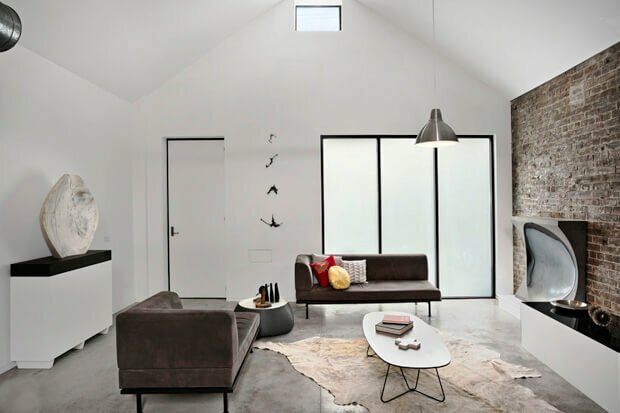 It’s been successfully and creatively converted into a sleek and stylish modern two-storey family residence. The interior has been given such an artistic and tasteful make-over that any friend who visits and walks in wouldn’t have a clue what it used to be, unless he noticed the outdoor signage on the street side facade. It lends a whimsical touch and edginess to the classic red brick exterior wall. 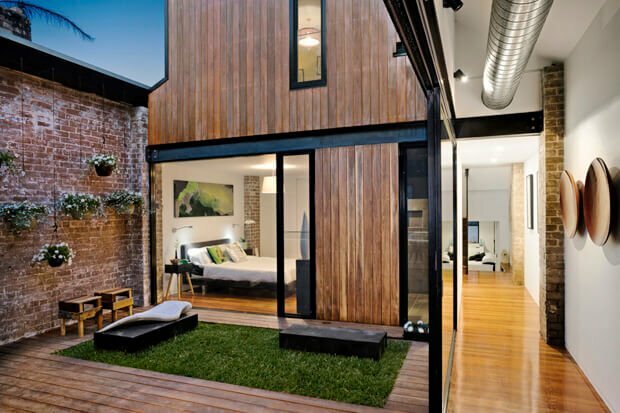 The same weathered brick material ties in the whole design, providing a unifying element to make it cohesive. You see it used on a living room wall, the kitchen backwall, as a feature wall in the courtyard, and as bedroom wall accent. The courtyard plays a pivotal role in the success of the design not only in providing light and ventilation to the living, master bedroom and main corridor, but also in creating visual extension to these areas. This gem of a house is also for sale with details and selling price available from Urbane. 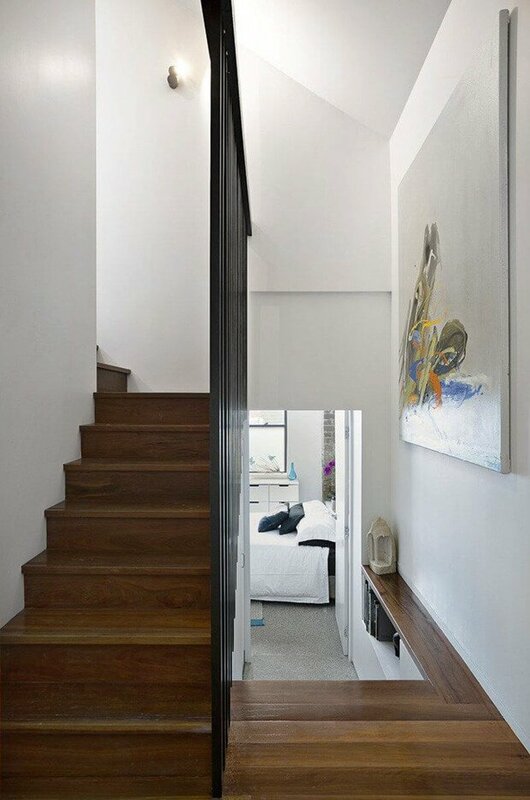 Now take a look at the photos to see how amazing this house has become. Then don’t forget to tell us what you think on our Facebook Page! 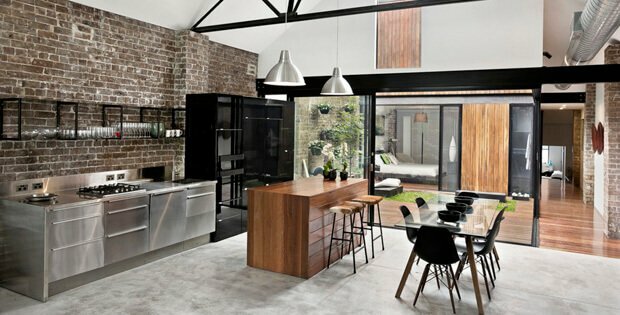 An inspired architect designed conversion has transformed this former St John’s ambulance station and created a unique living space that showcases extraordinary size, light and utmost privacy. Step inside to discover a stunning interior design with an uplifting sense of space and a great layout for indoor/outdoor entertaining. Lifestyle takes centre stage here with a substantial floor plan and . . . remarkable achievement in creativity and sophisticated styling. [FOR SALE] CHARMING COTTAGE THAT WILL SURELY MAKE YOU SMILE!